Looking for a ultra-savory, fruit dessert vape? 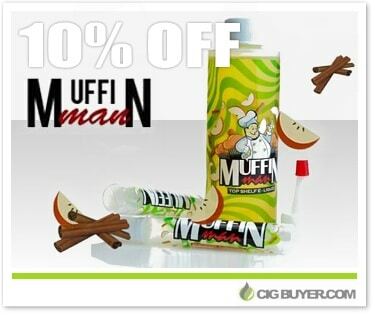 Muffin Man e-juice by One Hit Wonder is described as tasting “just like Grandma’s homemade apple muffins.” We haven’t tried it yet, but this sweet blend of Red Washington apples and warm cinnamon muffin sure sounds delicious! A 20/80 PG/VG mix handcrafted in California, it’s available at 3 or 6mg and comes in large 180ml squeeze bottles. You’ll also get two 15ml unicorn bottles so you can easily refill while you’re on-the-go.